We’ve been hearing rumors and speculation about two new Pixel devices said to be “Lite” versions of their already-available Pixel 3 counterparts. Renders of the phone have already leaked, giving us an idea of what these premium mid-rangers might look like - in the Pixel 3's likeness. 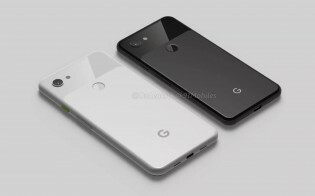 The latest piece of news from Android Police claims that the Pixel 3 Lite and Pixel 3 XL Lite will be announced for Verizon in “early spring” which could signify either an April or May announcement in 2019. This could position its timing just around six months before Google’s usual MadeByGoogle launch event, which usually takes place sometime in October – offsetting the launch of the company’s premium Pixel offering. Google hasn’t released a mid-range version of the Pixel before. The last time we’ve seen a similar approach from Google was with the final release of Nexus smartphones: The Nexus 6P was the premium offering while the Nexus 5X was a clear mid-ranger in specs and in price. 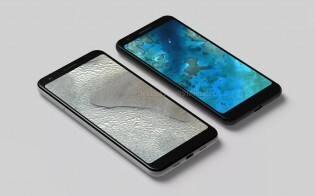 The smaller Pixel 3 “Lite” is rumored to have a 5.5-inch display while the larger XL “Lite” is said to have a 6-incher, both with 18:9 aspect ratio displays. The two phones will come with 4GB of RAM, 32GB of on-board storage, and a 3.5mm headphone jack. The devices might be powered by either a Snapdragon 670 or 710 CPU. In the camera department, we’re looking at the same 12MP main and 8MP front cameras that come with the Pixel 3 and 3 XL. Of course, we might see some lower-end sensors but will definitely see Google’s imaging software prowess. With this new rumor, Verizon will likely remain Google's exclusive carrier in the US at least for the first half of 2019. We'd expect to see unlocked variants become available as well, but Sprint compatibility might be up in the air. If you’re wondering why Google would want to release mid-range versions of its Pixel flagships, the clearest reason is so that it can expand availability to emerging markets. This year’s Pixel 3 devices are the most expensive yet (Pixel 3 starts at $799 and 3 XL, $899), so it’s only fitting that Google would want to fill in the gap with a lower-cost device. As of right now, pricing is not known, but with the Pocophone and OnePlus sitting comfy in the $300 and $500 price brackets, respectively, Google should aim somewhere in the middle. Of course, if these Pixel midrangers can take better photos than the OnePlus 6T, it will be a much easier sell.